Love-struck Orlando solidly played by Adam Boyle. Adam has been working professionally as an actor since 2010 and has enjoyed a varied career. 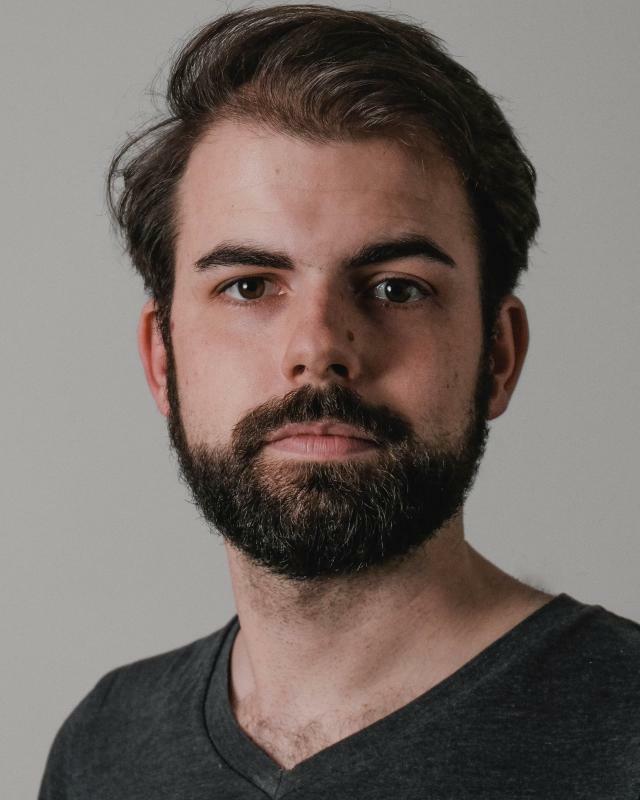 Adam is also the Artistic Director of Bears & Vagabonds Productions; A charity based company using theatre and film to champion and raise money and awareness for important social and ethical causes. They are currently preparing for there 2018 season #The Home, focusing on homelessness and the housing crisis. A keen outside man, enjoying hiking and camping in the wilds. He is also a keen forager and most of his trips include this. In 2016 Adam completed a solo walk from London to Edinburgh and back (with a 3 week run of a show at the fringe in between), whilst sleeping out for the entirety. He is also a third way round his staggered UK coastal walk.